Disney Free Dining, Only a few days left to eat for free at Disney World! Enjoy two exciting Walt Disney World offers, including the popular “Disney Free Dining” offer! The early availability of these offers will make it even easier for you to make your Disney vacation dreams a reality in 2019, and help kick off the new year with a bang. You can get a FREE Disney dining plan when you purchase a 5-night/6-day non-discounted Walt Disney Travel Company package that includes a room at a select Walt Disney World Resort hotel and a ticket with a Park Hopper® Option or Park Hopper® Plus Option for arrivals July 5-Sept. 30, 2019 when you book through Feb. 10, 2019. Ask a Pixie at Pixie Vacations about packages for other lengths of stay. A minimum 4-night length of stay and 4-day ticket with a Park Hopper® Option or Park Hopper® Plus Option is required. When you stay at a select Disney Deluxe Resort or Disney Deluxe Villa Resort, you get the Disney Dining Plan with a variety of delicious dining options! 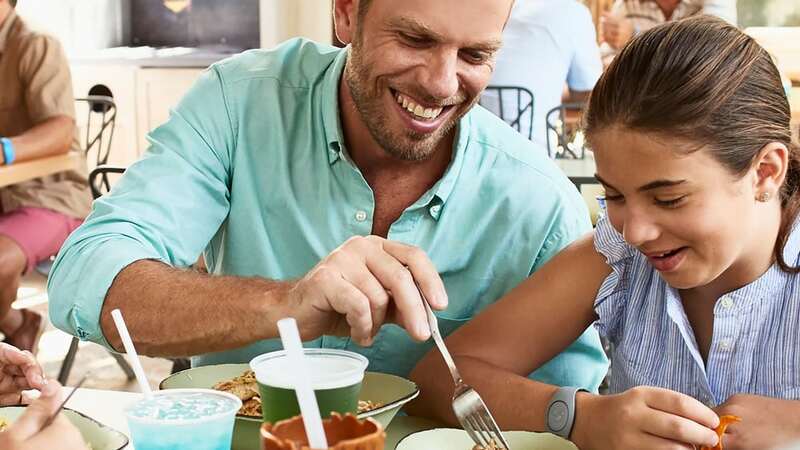 When you stay at a select Disney Value Resort or Disney Moderate Resort, you get the Disney Quick-Service Dining Plan that allows you to enjoy a quick bite. *The number of rooms allocated for this offer is limited. Tickets valid for admission beginning date of check-in and must be used within a limited period of time, depending on length of stay and ticket. Visit disneydestinationstickets.com/usage for more details. Cannot be combined with any other discount or promotion. Advance reservations required. Offer excludes the following room types: campsites, 3-bedroom Grand Villas, Cabins at Copper Creek Villas & Cabins at Disney’s Wilderness Lodge, Bungalows at Disney’s Polynesian Villas & Bungalows and Disney’s Art of Animation Resort—The Little Mermaid standard rooms. Dining plan excludes gratuities. Children ages 3–9 must order from children’s menu, if available. Some Table-Service restaurants may have limited or no availability at time of package purchase.